Alexander is a partner at SDC. Alexander most recently served as Global Joint Head of the Media, Communications & Information Services investment banking group at Jefferies. 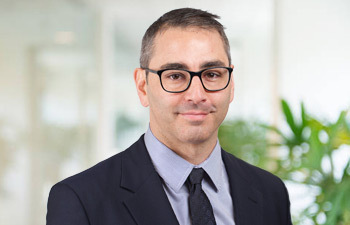 Alexander spent 14 years as an investment banker at Jefferies focused on the telecom and technology sectors, with a particular focus on IT and communications infrastructure. He sourced and executed over $20 billion of M&A, debt and equity transactions globally within the last six years. Prior to Jefferies, Alexander spent four years with Booz Allen Hamilton advising telecom and technology companies globally on strategic and operational issues, as well as conducting due diligence on behalf of Innovate@, a joint venture between Lehman Brothers and Booz Allen Hamilton. Prior to Booz Allen Hamilton, Alexander spent two years at Coopers & Lybrand Consulting where he designed, implemented and managed all aspects of various data centers and networks for U.S. federal government and military clients. Previously, Alexander held a Top Secret SSBI security clearance. Alexander has an MBA from INSEAD, an MS in IT / Telecommunications from Johns Hopkins University and a BBA from James Madison University.